From the outside, the welcoming, garden-adorned houses of Summer Street are the picture of Irish charm. But on the inside, unexpected and heartbreaking secrets swirl. At house number thirty-two, hardworking, single-mother Faye Reid conceals the truth about her marriage from her fiery daughter, Amber. But Amber, a budding artist, also hides something from her all-too-trusting mother: a relationship with a rock star hopeful for whom she plans to throw away her future. And at number forty-eight, Maggie Maguire arrives at her childhood home to help her sick mother, a welcome distraction from the life she left behind and the startling secret she's hiding -- from herself. 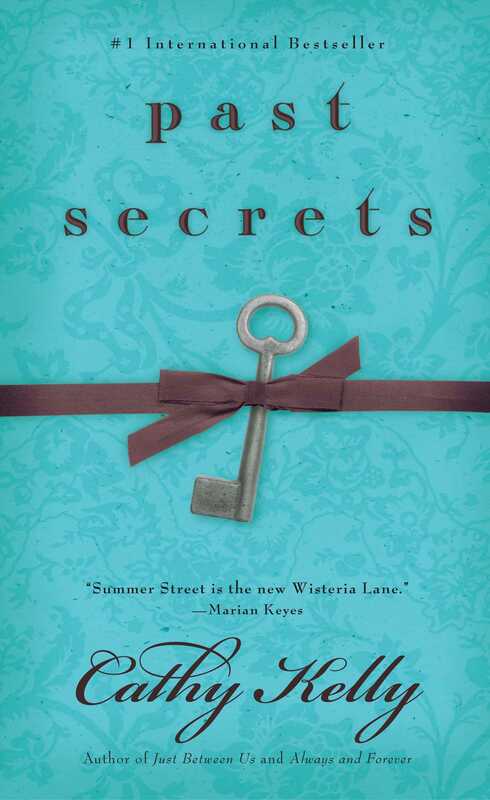 At thirty-four Summer Street, wise and kind Christie Devlin has the remarkable ability to see into the lives and hearts of others -- and may have the answers when her neighbors' carefully hidden secrets bubble to the surface. But when Christie's own past comes back to haunt her -- posing a threat to her picture-perfect marriage -- this time the answers aren't as clear. “There had only been that one time in her married life when it had all nearly gone wrong, and, like catching a falling glass before it hit the floor, Christine had adverted the disaster. There was a tiny crack left behind from that time, but nobody except Christine could see it” (page 12). Do you believe that no one else ever sensed Christine’s secret? Why or why not? “Her whole life, Christie had been able to see things that other people couldn’t” (page 15). Discuss the theme of sight in this novel—what do the main characters neglect to see in their own lives? “But time had turned Faye’s white lie into a giant black one and now she couldn’t stomach repeating it any more” (page 43). How do you feel about Faye’s deception? Do you think her lies were justifiable? Why or why not? “Whatever happened to her? She hasn’t been in touch for years, not since Ana was involved with that artist fellow…” (page 92). Why do you think Christie lost touch with her friend Lenkya? What role does the “Save Our Park” campaign play in this novel? “Looking backwards is a terrible thing” (page 118). Do you agree or disagree with Christie’s statement? What is the significance of the tiger’s eye pendant that Amber wears? “If a girl from a small town in China could travel thousands of miles to a strange land where she knew nobody to start a new life, then she wasn’t going to spend the rest of her life being afraid of what happened to her when she was a schoolgirl” (page 281). What else gives Maggie the strength to move forward with her life? “The people we love often don’t see our pain, and that’s one of the hardest things in the world to cope with,” (page 285). Who are the people who fail to see the pain in Christie, Maggie, Faye and Amber? “Once you had tasted extraordinary and the dangers it brought, you longed for the familiar and you thought how precious that was” (page 351). What does each character long for? “Like mother, like daughter, Faye thought endlessly…” (page 409). How is motherhood used throughout this novel?